Pet owners may wonder if there is any value in having a dog vaccinated against parvo once they have already had the virus. This is a guide about "Should dogs get parvo shots after having parvo?". Should you give your puppy a parvo shot after surviving parvo? There is no point in it. The dog has produced the necessary antibodies needed to combat the disease and has survived. Your dog is already immune to parvo because he had the virus. Save your money. I had 4 terriers get parvo, I was broke. But to my amazement I found something you can buy at any store to treat them. So you know I had the first one tested and bam, parvo! Buy activated charcoal, you can find it in many forms. But works best is pharmaceutical grade. It's just on your local pharmacy shelve, over the counter. Usually sold as a dietary supplement or anti gas pill. Get home, open 3 capsules and use with only water as any other liquid will have artificial colors, acids, etc and the charcoal will activate with and not work as well with parvo virus in your dog. Mix thoroughly and use a cold syrup syringe or a straw like I did to give about 3 quarter straws, every 30 minutes. For 5 hours, then same dosage every hour after. My puppy was wagging his tail and lifting his head again within a couple days, then up and drinking water. My older doggies were up and about a day earlier. I thank God for finding this charcoal that he has created. Vets will never tell you this. And here is best part. When they survive, they will have strong natural immunity. Thank you so much for the information and I pray at work on my puppy I have lost two already and it has been devastating. I pray it works as well for me as it did for you. Thank you again and God bless you. Paxxin works as well. It saved our puppy. I've had a few pups contract parvo, but luckily my old papa taught me that as soon as you seen the first sign, (diarrhea, with gagging, vomiting) get a cold syrup syringe and give them 2, 5ml squirts of gatorade down their throat every 2 and a half hours. Along with half a ml of raw egg between. Give the pup a quarter of a women's daily vitamin once a day also. The vomiting will stop almost immediately, and within 24-36 hours they will want to lap up the gatorade on their own. Within 48-60 hours their appetite will be back. The egg replaces protein and the vitamins replace the nutrients they aren't getting. DON'T EVER LET ANYONE OR ANY VET TELL YOU ONCE THEY HAVE PARVO THEY ARE A LOST CAUSE BECAUSE IT NOT TRUE AND THIS METHOD HAS ALWAYS WORKED FOR ME. As for the vaccine, although they will be immune to the virus I recommend, still giving the spectra 9 or 5 depending on age the age of the puppy. You can get the 5 for around 8 dollars, and the 9 for 11 at any feed or tractor supply store. How old was your terrier puppies and what were the symptoms? how many days did u give ur pups the vitamins and gatorade? how long did you give ur pup the Gatorade? I did this too! I stayed up for over a week woth my pup doing this every 2 hours. Plus i injected her with the iv fluids and gave her this garlic herb mix i found online. I had my puppy get her 1st shots and she got parvo days after. She made it through it, do I need to get her the remaining parvo shots? Can she get it twice? You should take these questions to your veterinarian. He's the one who will know what's best. Hi Andrea I understand where your coming from about the mighty dollar. I feel same way do some research on over vaccinating you will be surpriused. I raise pit bulls for many years. My dogs get 1st shots.... and that's it! I have yet to have a dog get parvo ever! Maybe I'm just lucky. I have a Reindeer Chihuahua. A week after we got her she came down with parvo. I could not stand by and do nothing, so I took her to the vet. He gave me 3 choices. First, leave her in their hospital for 1300.00 and she will have a 90% chance to live. Secondly, come back every day for a shot in her neck, to keep her hydrated, at a cost of 100.00 per day and give her liquids every hour for those 7 days (which meant not going to work), or lastly, put her down. We chose number 2. The dog lived and is very healthy. Now a year and a half later the vet has sent me a letter saying its time to bring her in for another parvo shot. Is this true? By the way, the first time I was there he told me that the shot would not really help save the dog and that it was really up to her. Do I need to get her another shot? Thanks for your help. 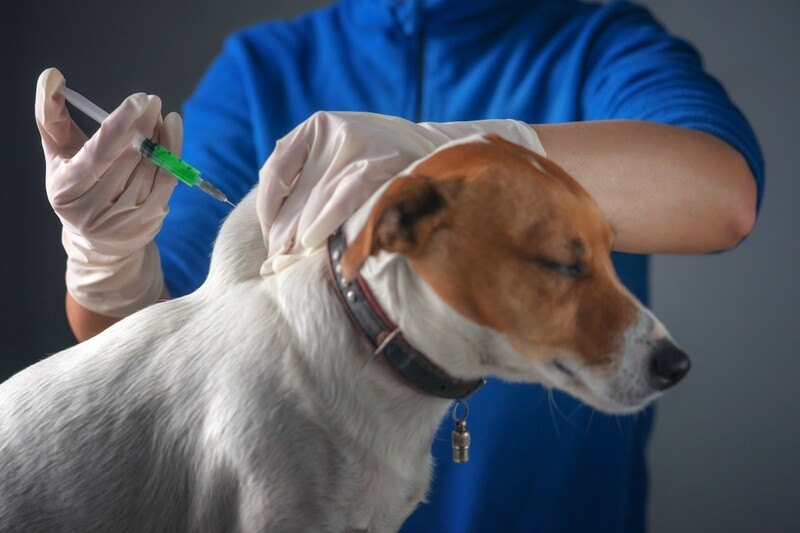 Change your Veterinarian the only correct statement is YES your Dog has to have a yearly C5 vaccination that includes Canine Parvoviris, Distemper, Kennel Cough and Heartworm Injections. Depending on the area you live anything else your vet feels is necessary. Depending on age this should have been done when you first owned the dog. I really am sorry for you. Please keep us all posted. How soon after having Parvo can my dog get a Parvo shot? And will it do any good? Puppies who have recovered from parvo will have natural immunity - the best kind. Even if exposed to a puppy who has a different strain of parvo than what they had, they will not get it again. No dog that has been ill should be vaccinated for anything until their immune system is built back up. For Parvo they won't need the vaccination again, and no other vaccines for 6 weeks after full recovery. If your puppy has had parvovirus before or after its first vaccination DO NOT VACCINATE AGAIN. Introducing more parvovirus into your dogs immune system is a bad idea. You're dog has already started building an immunity on its own. I just bought a one year old dog and she came down with Parvo the day after she came home. She just recently got the all clear from the vet. Our vet told us to come back when she is one hundred percent better to get her vaccinated. I've been researching about it online and some people are saying that vaccinating a dog after it has survived Parvo could just make things worse. Should I go ahead and vaccinate her? My other dog has been vaccinated, too. Is it still safe to keep him in the house and together with her? In my personal experience, doctors, and to some degree, veterinarians, may be trained professionals...trained in a medical school that preaches drugs and vaccines. They are romanced by drug companies. Many times the opinion that you may get can have a healthy dose of "drugs" or "vaccines" in it. Opinions, personal experiences and one on one contact with others should be considered very seriously. Sometimes these are more accurate or sensible than what you may get from a trained professional. Bear in mind that profit and not necessarily good intentions can motivate those in the health care "business". Fortunately this is not always true. I have personally found that when you exhaust the knowledge of your trained professional, they are often unwilling to dig deeper or look harder. The individual who will do the research will live longer. I believe in emergency medicine, both human and veterinary. I also believe in keeping an open mind and drawing your own conclusions, because just slapping drugs and/or vaccines on a problem will probably end up killing you. Now that I step off my soap box, I can say that I keep hearing of dogs getting Parvo after being vaccinated, rather like our soldiers coming down with anthrax after the vaccination for that one, too. I have not studied it enough to offer an educated opinion, but I surely would do some checking in to it. My 6 mo. old Border Collie / Bull Terrier came down with Parvo. She was hospitalized immediately, and is now back to herself. I'm still giving her the remaining antibiotics. She is due for her first Parvo shot tomorrow. Will this vaccine cause the virus to flare up again?